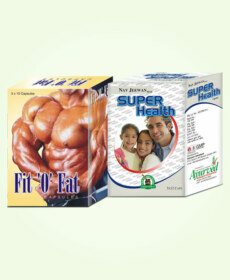 FitOFat capsules are popular ayurvedic herbal supplements to gain weight in a natural and healthy manner. 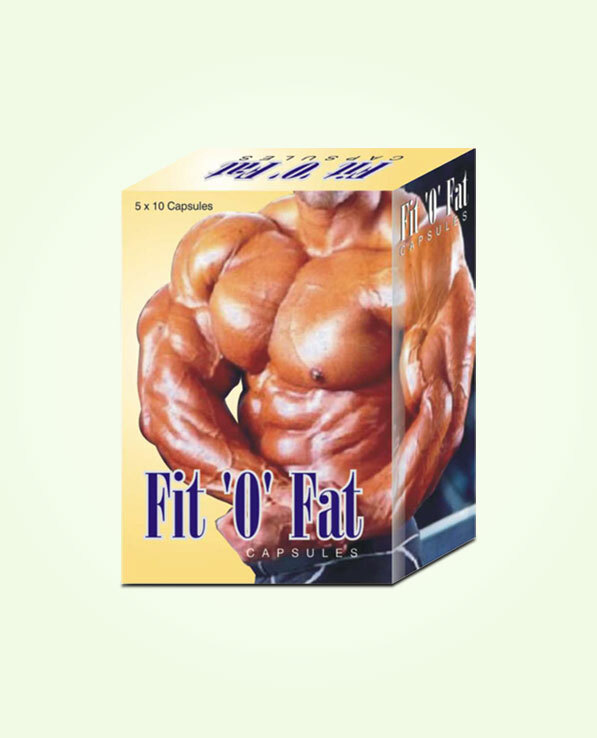 Buy FitOFat capsules online in India and increase muscle mass and bone density. If being over-weight is dangerous being under-weight is problem too, skinny and too much lean people are prone to suffer with health problems and disorders at any point of life. One needs to have ideal weight by having denser bones and muscle mass to lead an active and trouble-free life. FitOFat capsules are highly beneficial herbal supplements to gain weight. These capsules improve muscle mass, increase bone density and reduce fat from body to provide healthy weight and energetic body. These are also reckoned as very useful herbal supplements to build muscle mass due to their effective properties to convert fat into muscles. Body gains nutrition in the form of calories from diet, those who are unable to digest food properly and completely gain lesser calories which makes their bones thinner, reduce muscle mass and keep them underweight. Intake of these capsules boost-up metabolism and ensure smooth absorption of nutrients to promote growth of bone and muscle tissues to increase weight in healthy manner. These supplements also provide wide range of nutrients in bioavailable form which get absorbed in the body smoothly even in absence of proper digestion to elevate energy levels and improve functions of systems and organs of the body. These also remove deficiencies and debilities from the body to improve health. These herbal supplements to gain weight expel toxins, harmful acids and chemicals and also inhibit activities of free-radicals in the body which reduce muscle mass and speed-up process of ageing. FitOFat herbal supplements to build muscle mass speed-up fat metabolism and convert available fat into lean muscles, this lean muscle mass gets converted into fat easily which not only increase weight but also improves fitness of the body. The natural ingredients of these herbal supplements to gain weight purify blood and improve performance of all the organs of the body by supplying pure nutrition and higher oxygen. FitOFat capsules come loaded with herbs like Jaiphal, Ashwagandha, Safed musli, Vidarikhand, Kavach beej, Kesar, Barahikhand, Bhringraj, Sonth and many more. All of these in combination promote healthy processes in the body, promote secretion of hormones which breakdown complex food items and promote absorption of nutrients, and also boost-up functions of organs of the body. These supplements regularize hunger pattern, increase diet intake and ensure complete digestion. 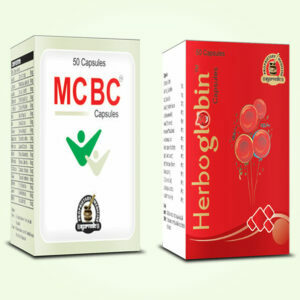 These prevent problems like constipation, diarrhoea, anaemia etc. which reduce energy and muscle gain in body. These ayurvedic supplements to gain weight due to their herbal nature are fit to be used by men and women of all ages and can be taken for prolonged duration without worrying about side effects. Asparagus racemosus, Mucuna pruriens, Saffron, Pueraria Tuberose Dc, Withania somnifera, Asparagus adscendens, Phyllanthus emblica, Myristica fragrans, Swarna bang, Eclipta alba hassk, Zingiber officinale, Tephrosia purpurea, Caryophyllus aromaticus, Celastrus paniculatus wild, Boerhaavia diffusa linn, Asteracantha longifolia, Chilkamkoy, Oroxylum indicum, Lagerstroemia flos reginae, Tacca Aspera, Mesua Ferrea linn, Carica papaya, Plumbago zeylanica linn., Piper longum and Solanum nigrum linn. Take 1 or 2 FitOFat capsules with water or milk 2 times a day and continue this process for atleast 3 to 4 months to gain the body weight in a safe and desired manner. Being skinny is a problem. I had difficulty in increasing my weight. I ate and ate but nothing was giving satisfactory results. Then I started taking these capsules. My weight significantly increased within weeks PLUS it is totally safe. Very happy with the results. These are harmless and easy to use practically do not require any complicated method. Even in rush of life I could use these without misses. I have eaten outside food for a pretty long time. This actually made my system inefficient and I lost my appetite. After using these supplements not only my digestive system was back on track but my body is lot healthier and strong. My fat level has gone down and I am many times fitter. I have started my exercising regimen too thanks to these supplements for that extra energy. Skinniness is not just about appearance. It is a health problem too. I was thin and I was worried but not too much. But now it was worrying me to the core. My joints were causing problems and skin was becoming saggy. I needed a solution which could work fast. This supplement is wonderful truly. In few months changed me completely. Not only I am bulkier and look healthy but my joints and bones are lot healthier too. My metabolism is faster which keeps me energized and my skin now looks lot beautiful. Wonderful supplements. If your diet is not being utilized in the body there are no gains in eating nutritious foods. Most of the people suffering with skinniness or low-weight are actually carrying in inefficient system that is not making best use of diet. This supplement comes with combination of wonderful herbs that collectively make system efficient and capable of adding healthy weight to body. I have used FitOFat capsules for few months and gained higher muscle mass and bone density for a stronger and fitter body. Excellent pills!